Up at 5.30 and the lovely folks at the refuge de plan sec had left out an early breakfast for me. It is a fairly repetitive routine when through hiking! Get up, eat, down as much coffee as you can and get walking within 30 minutes of waking. The first hour or two of any day is making sure that the body is still working ok and warming up the muscles. My first hour was a 300m descent straight down a hill followed by a 300m climb up the other side. Happily the standard aches and pains were no more than normal. It is a fact of hiking life that something will be in pain at any point of the day. In the morning my shins hurt, my glutes yelp when I go up too many hills and my knees begin to groan when I have been descending for too long. 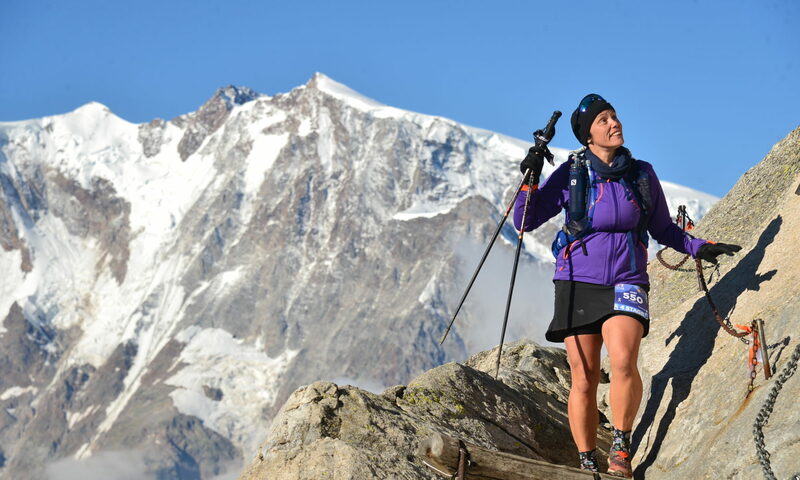 My shoulders start to hurt from my pack by the end of the day and my feet are usually troublesome at some point – whatever the pain is, the upside is that it will probably move somewhere else at some point. 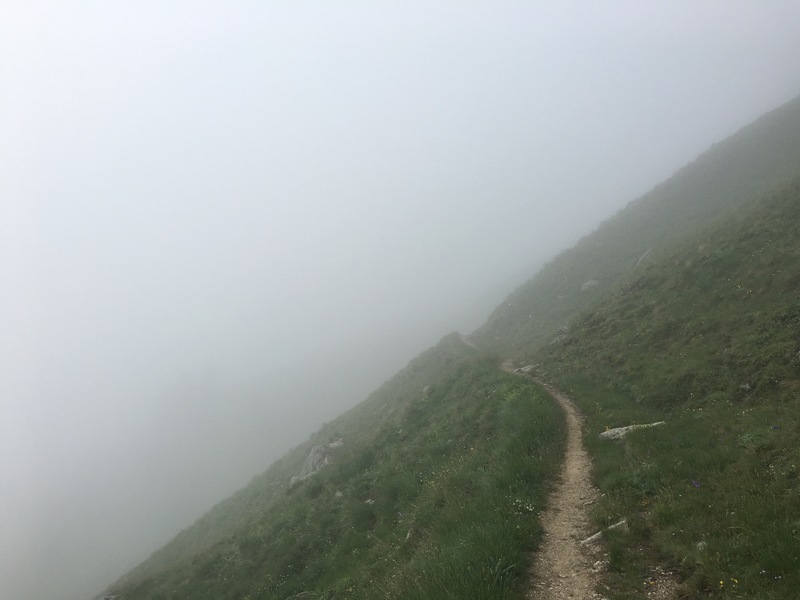 After traversing the side of a misty hill for several kms, I began the knee crushing 1500m descent to Modane. Ouch! Enough said. It was odd to be in a town, so I stocked up on nuts and babybels (my standard eat as I walk lunch), sent a couple of things I didn’t need home from the post office, called home, and had two espressos! 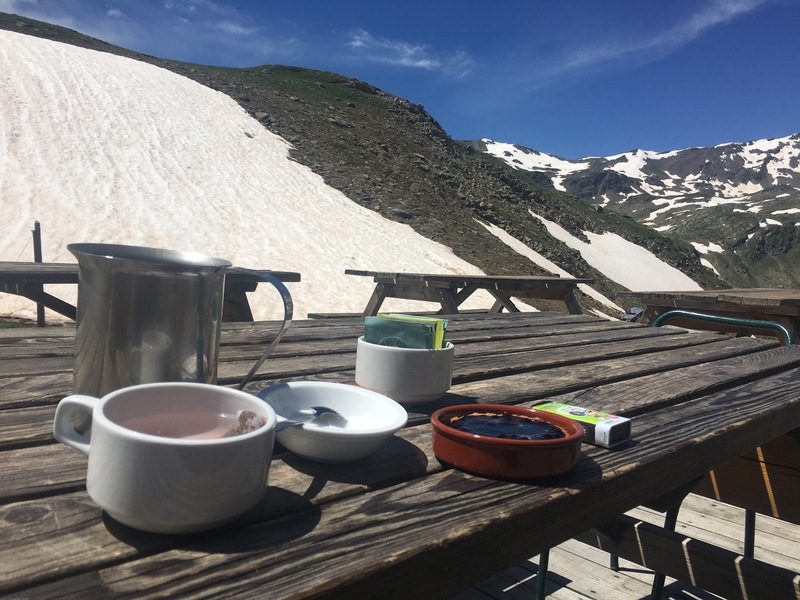 I really needed those two espressos, as the rest of the day was pretty much an unrelenting steep uphill climb of 1400m to the refuge at mont thabor. I was running out of caffeine propulsion by the end. 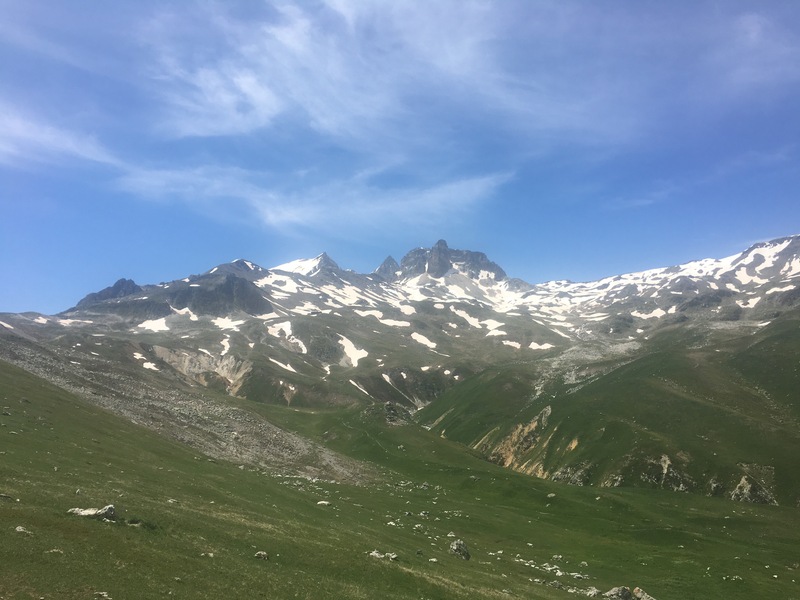 At least there is very little snow up here, even at 2500m, and apparently it is all clear to the south. 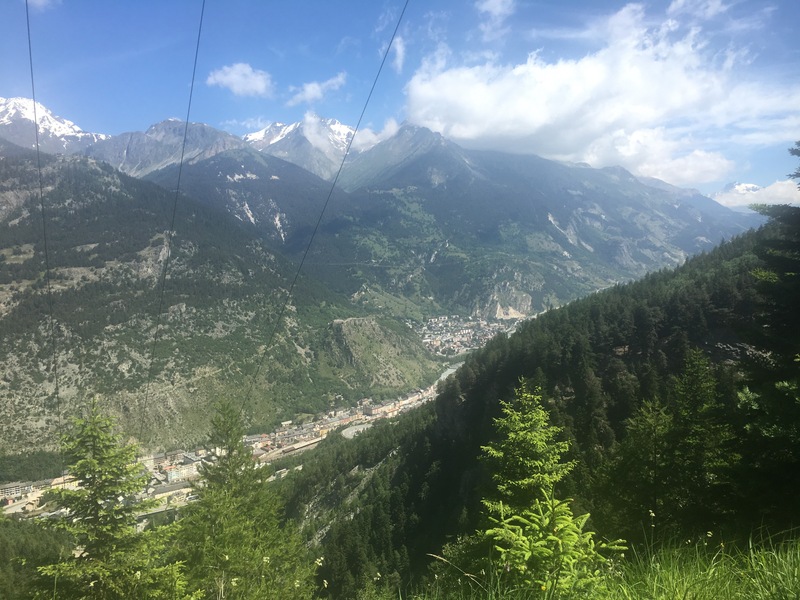 I met Martine and Francois up here who have detoured all the way from Contamines to Modane to avoid the snow, so I am not the only one who is being flexible and at least I got to see more than they did! Felt like I needed some carbs so I tried the local specialty of blueberry tart and felt somewhat restored. And then I had to attend to the routine hiking chores – wash stinky clothes, figure out how feet are doing, sort blisters, stretch everything you can, and grab a good bunk. Had a robust French communal mountain dinner with plentiful stew, soup, bread and cheese. A side benefit of this trip is my French must be improving as there are no anglais here! I had a delightful chat with Regis, who was kind enough to give me his dessert (yup I ate two).